It seems as if people are finally recognizing the growing problems encircling us. Externally, we have China hacking everything in sight, massive IP theft, Russia interference in elections, and open disdain of American policies in Europe. At home, we see socialism on the march, a decline in patriotism, and a repudiation of traditional morality. Political correctness crowds out free speech so absurdly that a feminist writer was blocked from Twitter for daring to say that men aren’t women. Be careful (anxious) for nothing; but in everything by prayer and supplication with thanksgiving let your requests be made known unto God. And the peace of God, which passeth all understanding, shall keep your hearts and minds through Christ Jesus. This is not a time for anxiety. It is a time for Thanksgiving, not just in spite of our challenges but in response to them. We need peace. And we need to keep our hearts and minds strong. President Lincoln knew a thing or two about giving thanks in challenging times. He issued his Thanksgiving Proclamationin 1863, in the heat of the Civil War. For families and a nation ripped apart, it was a needed opportunity to petition for peace. Most recognize the first Thanksgiving in America as occurring in 1621 with the Pilgrims and the Wampanoag Tribe. The Pilgrims gave thanks for the religious freedom of a New World and a successful harvest. On June 9, 1940, the world witnessed another Day of National Thanksgiving, brought about by the royal proclamation of England’s King George VI. As the world reeled under Nazi aggression, and with the British homeland threatened by invasion, men and women around the world took the day to offer thanks to Almighty God. This occasion is scarcely remembered and wasn’t even acknowledged in the two recent Hollywood blockbuster movies, Dunkirkand Darkest Hour. Both recounted the miraculous evacuation of the British Expeditionary Forces from the beaches of Dunkirk in May 1940. Neither, however, recognized the powerful role of prayer. The people of the day, however, well understood the need for a miracle and the role it played in defeating Nazi tyranny. It’s hard to imagine a more desperate situation than the British faced in the Spring of 1940. Yet they cried out to God in a National Day of Prayer. Lines formed outside places of worship for miles all over the Empire. After prayer, they went to work. Dr. J. Robert Ashcroft (father to the former Attorney General) was fond of saying that “we are a part of the answer to every prayer we pray.” The British people prayed for God to save their army. Then they responded to the call by providing the small ships necessary to evacuate over 338,000 souls from certain doom. It really is a miraculous story and one worth sharing. At Dunkirk, the first step was prayer. The second was work. Then, they stopped to give thanks. The days were still treacherous. Yes, they had amazingly rescued the bulk of their professional army. But they faced imminent invasion from an overwhelming opponent. As Winston Churchill observed, “Wars on not won on evacuation. The battle for France is lost, but the Battle for Britain is just beginning.” Despite all of the immediate preparations required, the people still stopped for a special day to give thanks. In America, we stop every year for Thanksgiving. It’s a time for turkey, family, and football. This year, though, may I suggest that we also give thanks for the precious freedom that we enjoy? Whether we know it or not, our freedom is fragile and requires vigilance to preserve it. Economic War Room produced a special Thanksgiving episode as our way of remembering and also giving thanks. I’d be honored if you’d take a few minutes to watch it. It is a message of hope, but also a call to rise to the challenge of preserving freedom for our children and our children’s children. In many ways, America now faces a Dunkirk moment. 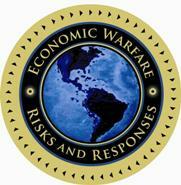 The threats of enemies, both foreign and domestic, circle around us. The challenges are great. We should look to our leaders. But if we want a Dunkirk miracle, we have a role to play as well. It’s time for us to pray, to work, and then to give thanks. I hope you are inspired by our special episode. May God Almighty richly bless you, your family, and the United States of America. Does history repeat itself? Whether we realize it or not; America faces conflict and threats similar to England in WW II. Britain’s status as a superpower was unquestionable. They owned the reserve currency status and large debts. The royal military force was superior, yet they were not prepared for new forms of warfare. British politicians saw Germany as a good trading partner and not a threat to their way of life. Sound familiar? We don’t realize that we could be approaching a “darkest hour” of our own. There is still time. However, it will require the support and prayer of the common citizen’s to rescue America. Our latest episode of Economic War Room provides the powerful lesson from Dunkirk, and introduces key threats America is facing today. Join us as we walk through your Economic War Room and discover how you can help make a difference. Sign up to get your free Economic Battle Plan™ – Click here. Next post: Sign Up for Slavery? Benefits Included?